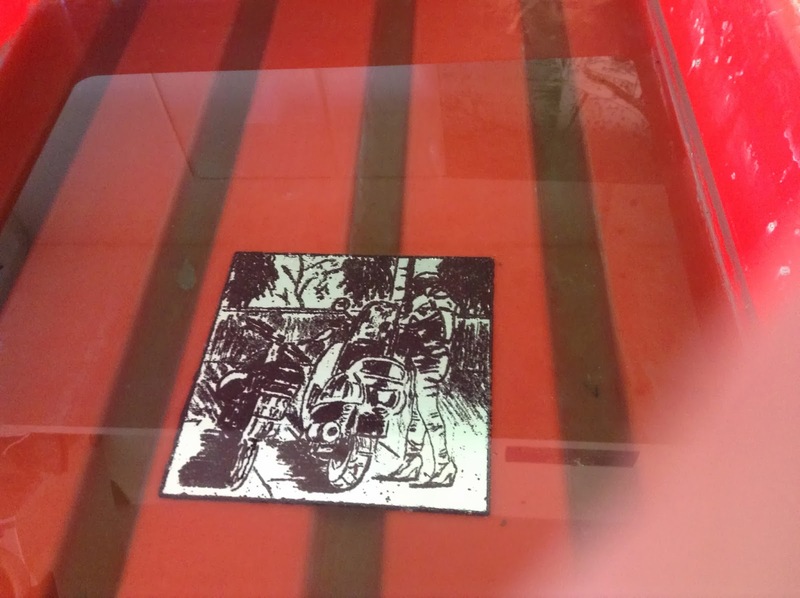 My image etching into the metal in the tray of copper sulphate saline solution. 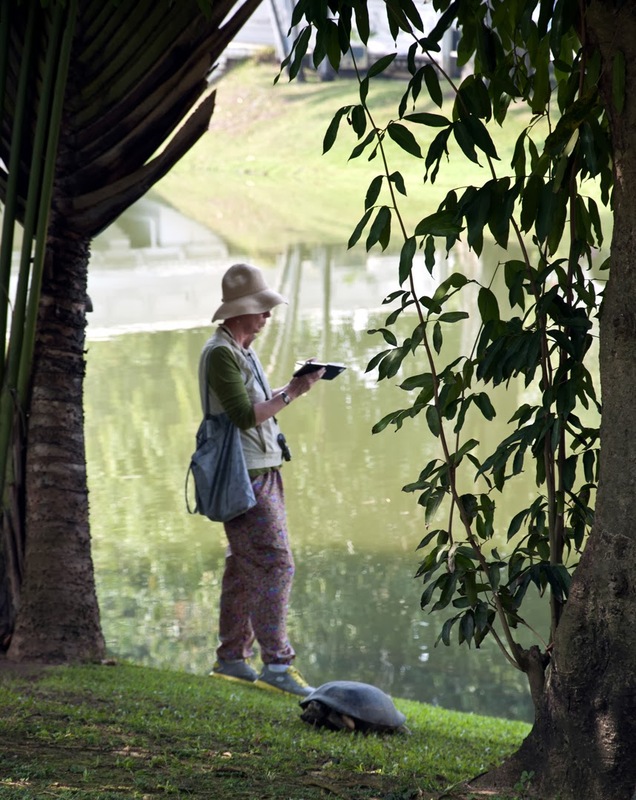 Sketching a lakeside temple in Thailand in the company of a turtle! 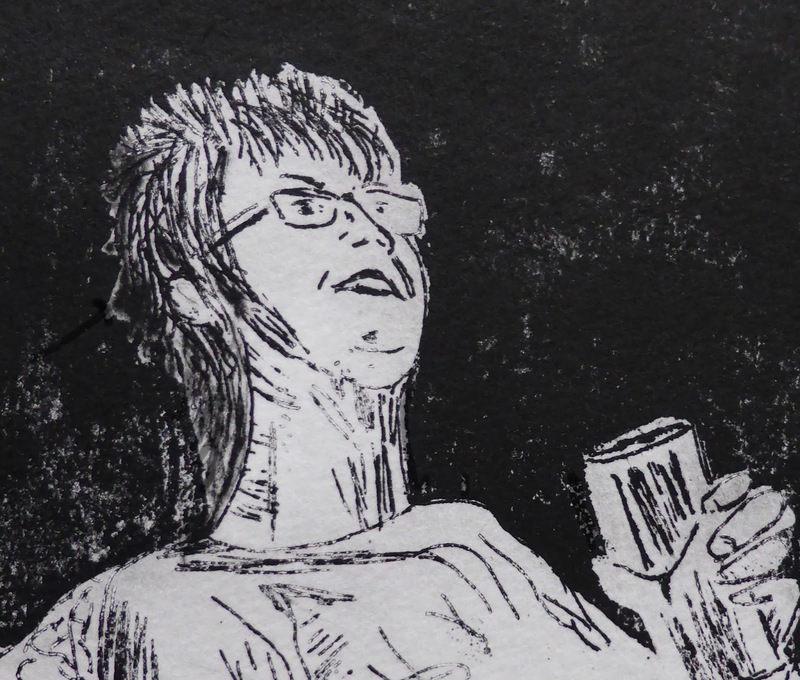 Detail of new etching I'm working on.. 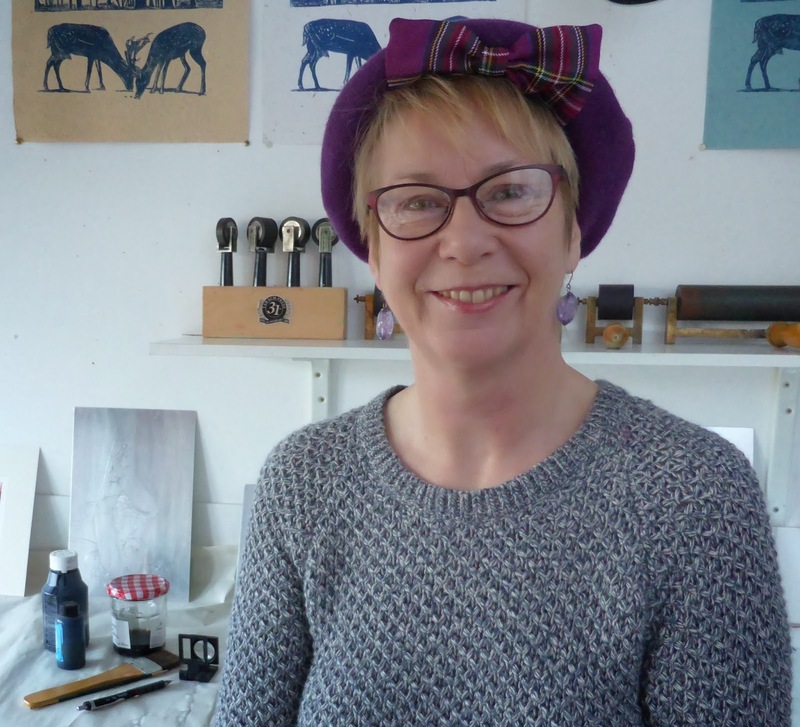 I lost my favourite hat so I've just bought a new one from 'Imogen's Imagination' from her on-line shop at 'Etsy. I think it will help me think creatively and, if not, then keep my head warm! Etching today - the metal is etching in copper sulphate. Magical to watch!